Probit regression can used to solve binary classification problems, just like logistic regression. While logistic regression used a cumulative logistic function, probit regression uses a normal cumulative density function for the estimation model. Specifying a probit model is similar to logistic regression, i.e. using the glm() function but with family argument set to binomial(link="probit"). Lets use the same example from logistic regression and try to predict if an individual will earn more than $50K. So before running the code below that builds the probit model, you will have to follow the steps from logistic regression to import and prepare the training and test data. Almost all the Xs have p values less than 0.05. So the significance of predictors should be of any concern here. It is okay to ignore few category levels of OCCUPATION not being significant, as most of the other levels have acceptable p values. The model diagnostics for probit models are the same as seen in case of logistic regression. 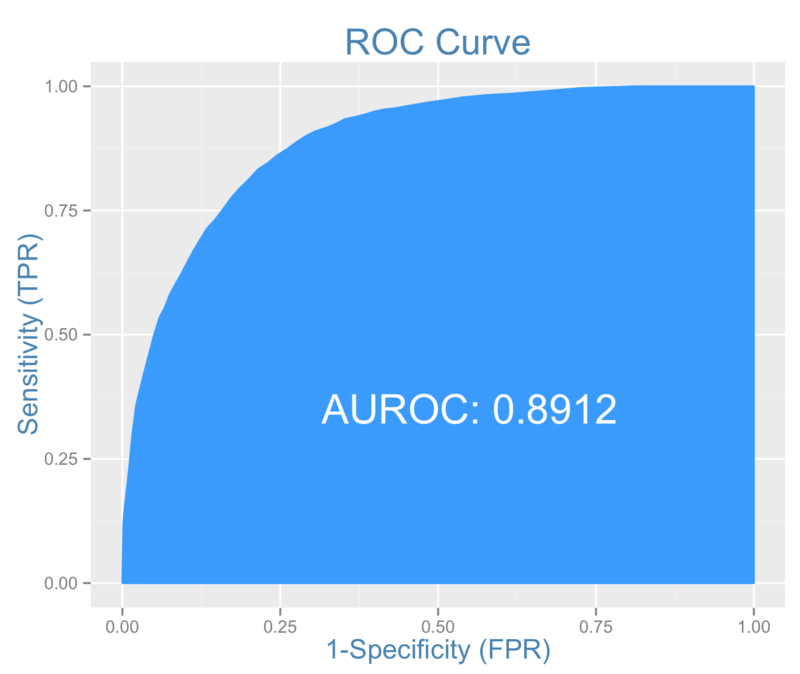 The area under ROC curve is slightly higher than that of the logit model’s. Therefore this could be the preferred model. Concordance is numerially similar to that of the logit model’s. The misclassification error is marginally higher than that of logit model. The ability to detect the events (i.e. persons earning more than $50K), is 5% higher than that of logit model with same formula. But the specificity that is pretty high is marginally lower compared to logit. # The columns are actuals, while rows are predicteds.